You are here: Home / Archive by Category "Uncategorised"
When we think of vanity, what often springs to mind is beauty standards and femininity. We’ve cared about our appearance since the dawn of time, for various reasons; whether it be for the purpose of attracting a mate, self-upkeep, confidence, being in a position of high authority and now more so, just to appear ‘civilised’. A big factor influencing beauty standards of today is cosmetics. Used to accentuate features and minimise imperfections, it wasn’t always considered as appropriate for the average person to wear. ‘Fixing our face’ is something we’ve always done, “for as long as there has been people, there has been makeup…” Reader’s Digest shows the evolution of makeup from ancient times, worldwide up to today. Backtracking to a few centuries ago, it was mostly people of more affluent backgrounds who would pay more attention to their appearances. It was harder for those with limited access to money, to conform to these beauty ideals. For example, in 19th century Britain, only actresses and prostitutes would wear makeup. Any attempt to mimic such looks was in fact considered shameful. However, surprisingly, this moral dilemma was not enough to dissuade ageing women from recapturing their youthful looks. You can read about the scandalous story of Madame Rachel, who was inspired by hair restorer lotion, to start a business in ‘fashionable cosmetics’ for hopeful older women. What does vanity mean to you? Does it mean materialistic, superficial beauty? Or something more? Here are some pictures of vanity and beauty in all sorts of forms. Owning lots of materialistic possessions such as jewellery can also be associated with vanity. Possibly because in earlier centuries, wealthier families would have the money to purchase these goods and along the societal expectation, they typically made sure their appearances were well kept maintaining their high level of authority. Nowadays, those seen taking lots of ‘selfies’ and posting them onto social media sites such as Instagram and Facebook are considered vain. Cosmetics, a widely used way to enhance one’s natural features and minimise imperfections is also associated with beauty and vanity. In Western Art, vanity was symbolised by a Peacock. People who were considered as vain or ‘show-offs’ would be given the name ‘Peacock’ because of their personality. A magazine cover for Vanity Fair, 1914. A magazine of popular culture, fashion and current affairs. The first version was published in the UK in 1913. This is another example of how beauty standards are portrayed and directed to the public. This picture of illuminated billboards showing advertisements in New York City, is another way of how we are subjected to western culture’s societal view of what is beautiful. Were your forebears unfortunate enough to fall on hard times? 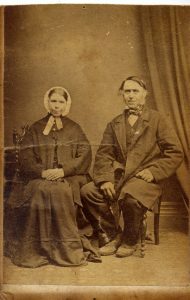 Genealogists researching in the Glasgow area often hope that they were, because if so, they would have applied for poor relief – and the Glasgow poor law records are some of the most revealing in the country, a treasure trove for the family historian. 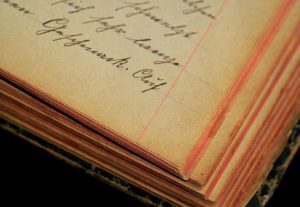 While the records themselves date from 1845, they contain fascinating information about many individuals born before then. It’s important not to fall into the trap of thinking, “Well, my ancestors were always in work and didn’t get poor relief”, because even those who applied but failed to qualify for assistance could have been recorded. People often sought help when a spouse or child died, when their health failed, or when suffering the adverse effects of old age. Any circumstance that prevented someone from earning a living could qualify him or her for relief, including having small children to care for. Relief was usually provided in financial form, but might also be offered as clothing, and where specifically requested, schooling for children. 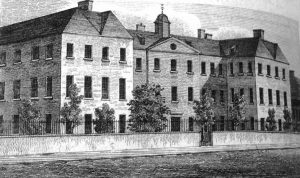 Paupers considered unable to look after themselves and with no family to support them could end up in the dreaded poorhouse (the Scottish equivalent of the English workhouse). And the amount of personal and family information taken from applicants is phenomenal: not just name, age, and place of birth, but names of parents, spouse, and children (sometimes grandchildren, too); income received, rent paid, health conditions, occupation, and a history of addresses often going back years. Details of marriage and death are also found in some entries. It’s not unusual to come across a single record that lists four generations of one family. 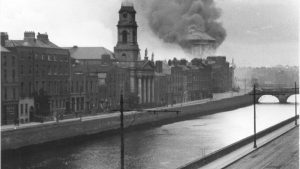 If you’re researching ancestors who were not originally from Glasgow, but perhaps hailed from Ireland, the Scottish Highlands, or Europe, these records are doubly valuable, because they usually give a specific place of birth, instead of just “Ireland” or “Prussia”. Knowing the native town or parish of a pauper was essential to the inspectors of the poor, as any support given in Glasgow could be reclaimed from the applicant’s parish of birth. The inspectors’ reports added to the application forms are full of exchanges between parishes, and often give extensive histories of paupers’ dealings with the poor law system over many years, sometimes until they died. Their comments about the paupers’ lifestyles and circumstances can be quite eye-opening, too. 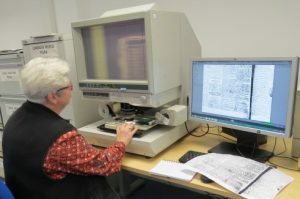 The application forms have been name indexed, and the resulting database is searchable at Glasgow City Archives. This makes the one million-plus poor relief records easy to use and identify by name, birthplace and age before ordering the original application volumes to the search room. So, if you find an ancestor lived or died in Glasgow (especially in a poorhouse or asylum), your next stop should be the Mitchell Library in Glasgow’s city centre, where the archives are housed. And if you can’t visit in person, the archivists can provide a list of professional researchers who are available to do the fun bit for you! Interested in researching your Scottish ancestry? You can visit her website here. We genealogists recognise that the thrill of the chase is an exciting and addictive experience. Many of our fellow genies are Iceberg Genealogy Researchers who indulge from the comfort of their homes while sitting at a personal computer screen. Family Historians who undertake geneajourneys and travel across the street or across the world to satisfy their geneappetites reap even greater rewards. 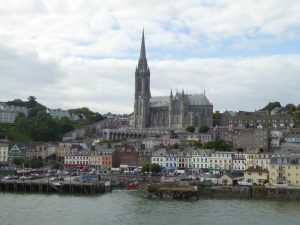 Tears rolled down my face recently as I left Cobh, Ireland on a six-star cruise ship with a band playing on the wharf and enthusiastic locals waving from the dock. 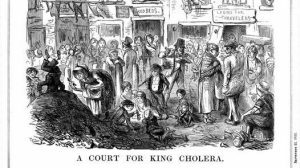 I was transported back to January 1825 when my ancestor, Patrick Curry, was leaving Cobh bound for an uncertain future in the Colony of New South Wales. I cried for Patrick and the very different journey facing him and gave thanks for the sacrifices he made for me and my fellow descendants in an unknown land. A visit to ancestor John Tucker’s butcher shop and home in Datchet, Berkshire and being able to sit at a table made by a Kealy carpenter ancestor in a farmhouse in Ballyfoyle,Kilkenny, Ireland created further spine-tingling moments. Even if one does not uncover such gems just wandering along the paths trodden by our ancestors and standing in the churches where life events were solemnised creates an unbelievable sense of peace and belonging. I feel so ‘at home’ in Ireland. It took me nearly thirty years to discover the details of the crime for which my ancestor Eleanor/Ellen Moore was also transported to New South Wales. I had to travel to Limerick, Ireland and consult a microfilm copy of an 1824 Limerick newspaper, The Limerick Chronicle to learn the details of Eleanor’s dastardly deed. 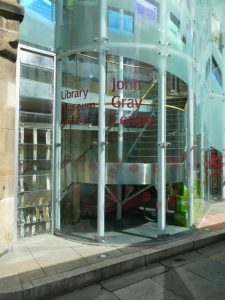 On a similar excursion to the John Gray Centre in Haddington, Scotland last year I was rewarded with a slew of newspaper articles and references to Gowans family members. If one wants to view the majority of records that are not available online one must go beneath the tip of the iceberg and travel. We owe it to our ancestors to seek out their full stories and preserve them for the future. Genealogists should be lifelong learners. While the online opportunities for genealearning are growing exponentially there is nothing better than actual face to face learning in a shared physical location. For this reason I am a bit of a conference junkie who travels to local, regional and overseas educational events each year. I love learning and networking with fellow enthusiasts. Sometimes the most suitable educational opportunities can be far from home. I was so excited when Kirsty Gray announced THE Genealogy Show 2019 as it gives me an opportunity to further my learning and indulge in more research in ancestral lands. THE Show has great appeal with an international flavour that provides opportunities to hear speakers like Janet Few, Gill Blanchard and Aiden Feerick whom I may never get to hear in Australia. Of course I am combining my trip with some research. I have a list of documents to consult at The National Archives in Kew and the attached Familysearch Centre, we are travelling to The Fulbeck Moravian Church, Settlement and Museum in Yorkshire where we will visit the graves of some ancestors who died in the mid 18th century (a shoutout to the wonderful Fulneck archivist, Reverend Hilary Smith, who will be guiding us to grave sites.) I am sure that in the next four weeks before I leave home this list will grow…but there is always the next trip which is already planned! How far are you travelling to reach the show? I will be travelling further than any of the other speakers at THE Genealogy Show. As the crow flies, the distance from my home on the shores of Lake Macquarie in New South Wales to the NEC is 16,969km. One doesn’t travel that far just for one event. Prior to the Show my husband and I will be visiting the Chelsea Flower Show and tootling around the English countryside. After the show we’ll be cruising the Mediterranean for a couple of weeks. What are you most looking forward to at the show? I love meeting new people, learning about genealogy and sharing my enthusiasm for genealogy ‘downunder’. Attendance at THE Show provides me with an opportunity to fulfil these desires. I look forward to meeting in person a host of genimates from the UK and Europe. THE Show programme gives me an opportunity to learn from speakers who will probably never venture south to Australia, I am most excited about hearing from speakers like Blaine Bettinger, Jonny Perl and Janet Few. I am thrilled that I have an opportunity to take to the stage with friends Kirsty Gray and DearMYRTLE and again with Kirsty Gray and online genimate Janet Few. I am honoured to be representing downunder as a speaker at THE Show, many attendees will have cousins in Australia and I know that my talk ‘Lost Cousins Downunder‘ will provide them with background information and resources to find those ancestors who left their home countries in Britain and Europe for Australia in the 19th and 20th centuries. I love telling my ancestors’ stories and writing on family history topics but I don’t think I have the stamina to write a whole book. 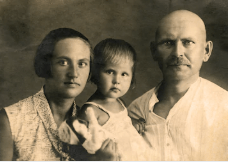 The blogging platform is a wonderful way for family historians to write their family stories in small bites. I am excited that I can share my enthusiasm for blogging at the Show in my talk ‘Genealogy Blogs for You‘ where attendees will learn how easy it is to share via the internet stories that will also act as Cousin Bait. What first sparked your interest in genealogy/family history? I have always attributed this to the bicentenary year in Australia in 1988 when the celebrations placed a great emphasis on our nation’s history. Looking back I realise it was also the year my maternal grandmother died. On reflection I realise that those two events influenced me to start thinking about my personal history. What began as an interest, moved to a hobby, became a passion and now is an obsession. Why is genealogy/family history important to you? I am a combination of my ancestors’ DNA. It is important that I know their stories, so I research, record and preserve them for future generations. I love solving mysteries and enjoy analysing data, family history gives me an outlet for these interests. If people want to find out more about you, where can they do so? I am known in the family history world as GeniAus (A Genealogist from Australia) so a search for GeniAus on Google will find several mentions of me. You can meet my ancestors at my family site, GeniAus. I am a geneablogger who maintains several blogs. The GeniAus blog, is where I share news and views and family stories. CurryAus, records the progress of my surname study and the Geneadictionary, is a lighthearted look at the language of genealogy. My GeniAus Facebook page, is my vehicle for sharing current news and views with my Australian genimates. I am on Twitter, and also can be contacted by email! Would you care to share a fun fact about yourself or something that no one else knows until now? Like many genealogists I am a hoarder and have a few collections. One collection that people don’t know about is my pen collection. Many of my friends know that Mr GeniAus and I indulge in a lot of travel but they do not know that for about forty years I have been collecting pens from all the hotels in which we have stayed. To the outside it might appear that when we are commissioned to undertake some research, then we simply dust off the relevant record set, compile the necessary information into a report and present it to the client. In reality, it is more complicated than that. Locating the records is only part of the process. Online databases have certainly made research faster and provided us with access to so much more information. But how do you know the information is correct? This concern over reliability is what keeps anyone using historical records on their toes. Civil registration was only available for the entire population from 1864 and we have no full surviving census before 1901. With so few surviving sources we must be extra knowledgeable in the limitations of each record set. One example is the relation between the 1901 and 1911 censuses. It’s not unusual for someone to appear to have aged more than ten years in the intervening years. If we are using the census as a guide to trace a birth record, then which one should we trust? The answer is 1911, because the introduction of the old age pension in 1908 made people much more diligent in reporting their real age. There are many more discrepancies between the two censuses which can lead to confusion. Civil registration records are also fraught with errors. They might contain misspellings, incorrect dates or even the wrong names. Fines over the late registration of dates sometimes led to parents providing a wrong date of birth in order to escape a fine. In one case I came across an individual who was officially born a week after being baptised. 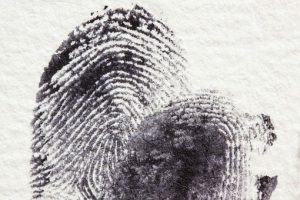 The rise of DNA testing is also showing us that sometimes the person listed as the father on a birth record might not have been. 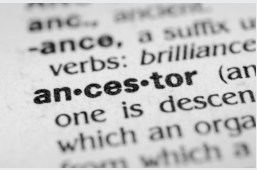 As professional genealogists, our job is to be aware of these potential errors and weigh up the evidence carefully before reaching our conclusions. Where possible we should cross reference against other contemporary sources. It is not enough for us to know what records exist but to be able to inform those who commission us to conduct research for them just how reliable those records are.